A modern-day version of the high-performance Mustang Bullitt, made famous in the Steve McQueen movie Bullitt, will be unveiled next week at the Detroit auto show. DETROIT -- Ford Motor Co. is planning a surprise reveal of a special edition, high-performance Mustang Bullitt GT at the 2018 Detroit auto show, Automotive News has learned. The Bullitt will be unveiled as a 2018 model, a source said, timed for the 50th anniversary of the eponymous Steve McQueen movie that made the car an icon among enthusiasts. Ford spokesman Mike Levine on Wednesday said, "We don’t have any Mustang news to share today but we love the interest in America’s favorite muscle car." A Mustang Bullitt was not among the vehicles that Ford previewed for media earlier this month. 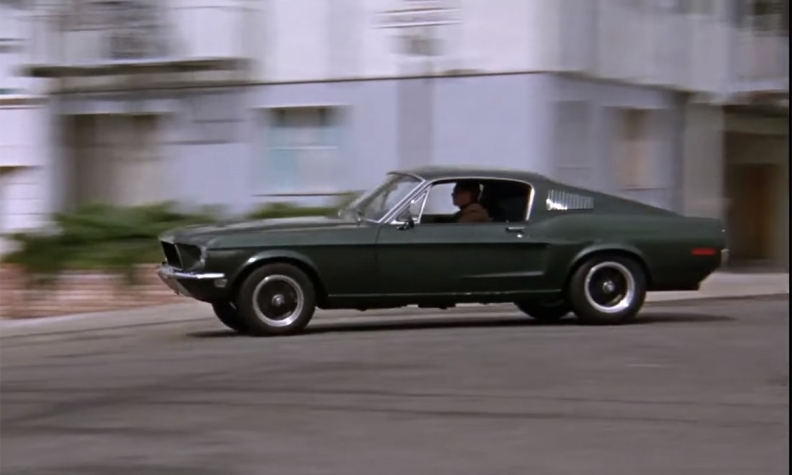 The 1968 movie Bullitt features an iconic car chase starring McQueen's Highland Green Mustang GT 390 fastback. The 2018 pony car likely will get similar dark green paint, as well as the five-spoke black wheels with a chrome lip that appeared in the movie, in addition to other unique cosmetic features. It's unclear what the car's performance numbers will be or how many Ford plans to produce in what is sure to be a limited production run. Ford first sold a Mustang Bullitt in 2001. The car returned in 2008 and 2009. Rumors of a 2018 Mustang Bullitt have been swirling for months. Spy photographers caught what appeared to be a dark green 2018 Mustang filming a commercial in Chicago late last year. And earlier this week, a Mustang forum unearthed an auction-site listing for a "special new Ford Mustang" to be sold on Jan. 19. The listing says all proceeds will go to Boy's Republic, an all-boys school in California that boasts a notable alumnus: Steve McQueen.